At Cocos Beach Bungalows you can enjoy the tranquility of Broome Pearling Master Style bungalows nestled in lush tropical gardens just a short stroll from Cable Beach. With only eight luxurious bungalows you have your own private holiday sanctuary yet are still within walking distance of cafes, restaurants, bars and tourist attractions. With just eight deluxe bungalows you can indulge in resort facilities without compromising on space and privacy. Cocos Beach Bungalows are fully self-contained, two and three bedroom, Broome Pearling Master Style bungalows. Each bungalow opens out onto a spacious timber decked veranda with outdoor furniture and Weber Q BBQ, a comfortable daybed and an overhead fan. This area is ideal for alfresco dining or for relaxing with a drink and a good book. The resort offers a temperature controlled pool and spa which is heated in the cooler months and cooled in the summer to ensure it is always at the perfect temperature. There are personal BBQs at each bungalowl. 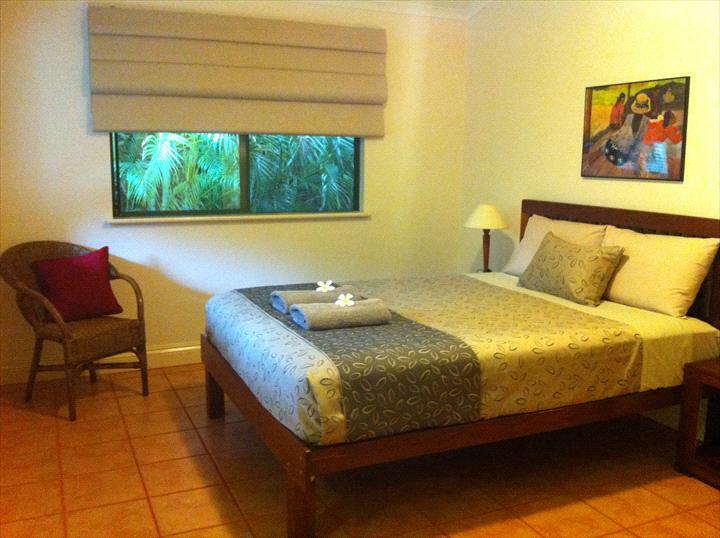 The bungalows are surrounded by Broome style lush tropical gardens. Cocos Beach Bungalows are within walking distance of a range of restaurants, cafes, bars and attractions. Off-street parking is provided and the town bus service and most tours pick up from out the front. There is a tour desk for your convenience which offers a free booking service. From Frederick St, turn right into Cable Beach Rd East, follow to end, turn right into Gubinge Rd, first left into Cable Beach Rd West, 2nd right into Sanctuary Rd. Fully self-contained deluxe bungalow with gourmet kitchen, lounge, dining, air-conditioning, Foxtel, laundry and spacious veranda. Two bedrooms (one queen bed and two single beds) with bathroom and separate toilet. The dining room opens out onto a specious veranda with outdoor dining furniture and a daybed with an overhead fan. Fully self-contained deluxe bungalow with gourmet kitchen, lounge, dining, air-conditioning, 12 Foxtel channels, large television, laundry and spacious veranda. 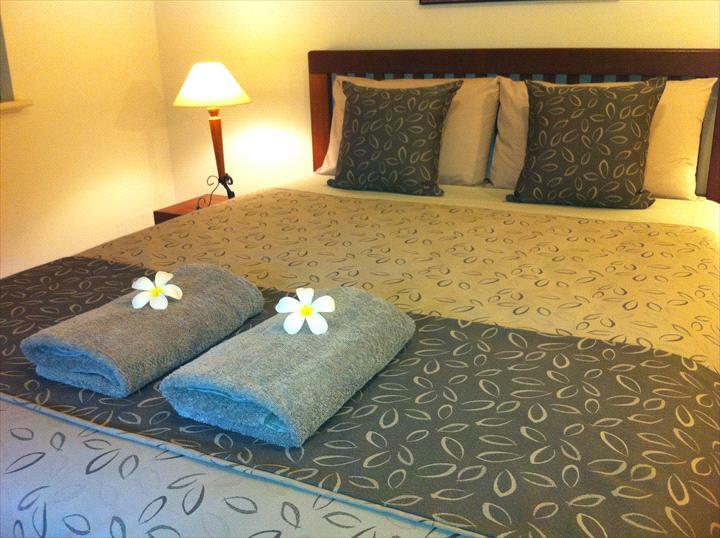 Three bedrooms (two queen beds and two single beds) with en suite and bathroom with separate toilet. Dining room opens out onto a spacious veranda with outdoor dining furniture and a daybed with an overhead fan. Three bedrooms (one queen bed and four single beds), one bathroom with bath and separate toilet. A $25 administration charge applies to all booking cancellations. Cancellations or amendments for bookings must be made a minimum of 30 days prior to scheduled arrival date. Guests are responsible for the full cost of accommodation if booking is cancelled or amended within 30 days of arrival date. Any nights resold will be credited. We recommend travel insurance to cover you for cancellation fees.